A user nicknamed Jesse D. was the first to discover the non-removable SSD in his 15-inch MacBook Pro with Touch Bar. The same issue was confirmed by the user of the 13-inch model. This year’s MacBook Pro is the first one in its lineup to come with non-upgradable storage. The 12-inch MacBook introduced in 2015 has the same problem. 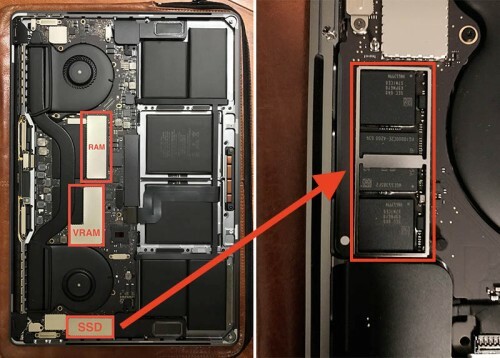 Prior to 2012, when the Retina MacBook Pro was introduced, the laptops used to have upgradable RAM. Up till now, the only upgradable part was the storage chip.